The Fabric “Looks Like” categorization is a first impression concept for identifying fabrics. If your fabric is light, but there isn’t anything particularly pronounced about its look or texture, check Light to medium weight fabrics. If it is ribbed, are the ribs horizontal, vertical or diagonal? Check the ribbed category that fits. In some cases, fabrics fall into more than one category; try starting with what you think is its most noticeable aspect. If you have little or no experience with fabrics, this may be the best place to start your search. One hint: All knits (no matter what else might be distinguished about them) are filed under knit fabrics here. 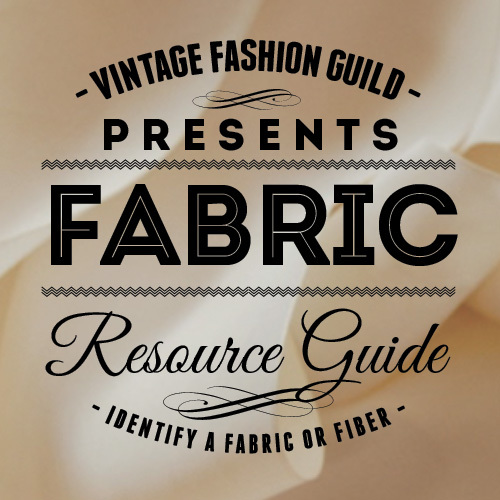 If you need to know what any term means in this list of categories, look it up in Fabrics A-Z.